"For several years, we have worked with A-Laser on a number of product prototypes as well as ongoing precision parts manufacturing," explains Donovan Ware, Materials Manager for Redwood City, California-based Cardica. "The quality of the laser-cut components A-Laser supplies is consistently high and the engineering team continues to be an invaluable resource for ensuring proper materials sourcing and design collaboration." 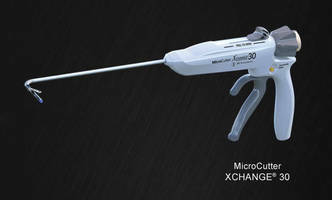 Cardica's relationship with A-Laser began with the development of its revolutionary MicroCutter XCHANGE® 30 surgical stapler, an 80° articulating device with an exceptionally small 5mm shaft. Precision laser cutting of thin metal parts with tight tolerances was critical for the prototype development of this product and A-Laser's comprehensive range of laser cutting services and the company's engineering expertise have been instrumental in the progression of the MicroCutter product line. "Our partnership with Cardica is very rewarding," comments Josh Saunders, A-Laser's President. "Knowing that we are playing a part in the manufacture of revolutionary medical devices is gratifying. And, the challenging designs from Cardica drive us to innovate new ways to manufacture exceptionally small, precise stainless steel components. 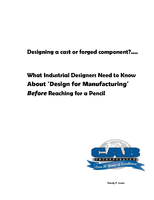 In fact, one part can only be manufactured through a process of chemical etching and laser cutting, which is a technique A-Laser perfected and now employs to produce a specialty part used in Cardica's MicroCutter device." In addition to its laser cutting expertise, A-Laser's short lead times and local proximity are key advantages for Cardica. 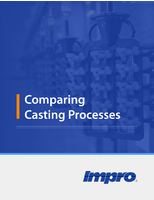 Reduced cycle times offer numerous benefits including improved productivity, shortened product development cycles, nimble design modification capability and inventory reduction, among others. "A-Laser is very responsive and goes above and beyond," says Ware. "We can deliver a design and have parts in a couple of days. For a small company that's trying to prototype very quickly, those days save us a huge amount of time and money. Our relationship with A-Laser continues to provide benefits on multiple fronts and, ultimately, we believe that surgeons and patients are the beneficiaries."